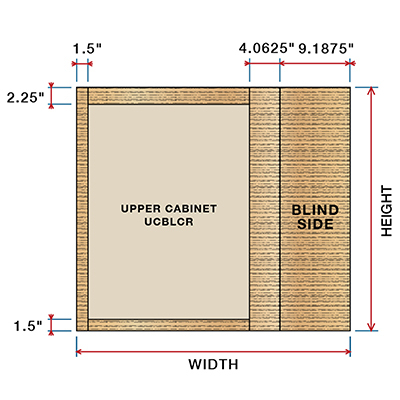 This left blind corner upper cabinet is designed to sit 1in out of the corner of your wall corner. Available with up to three adjustable shelves. Our ready to assemble cabinet boxes come with interiors finished with PureBond formaldehyde-free technology.